Handling your family’s most sensitive legal and estate planning matters with care and confidence. “Working with Siobhan was the best choice I made in the matter of a succession." We proudly offer reasonable, flat-rate fees and free consultations. Speak with us today. Leger Law Group, LLC proudly represents individuals and families throughout Louisiana. Our firm’s mission and purpose is to guide you through your estate planning matters so your final wishes are respected and your loved ones are protected for future years. We can address the various legal issues that pertain to your future plans and finances, including wills, long-term care planning, and special needs planning. Our Baton Rouge estate planning lawyer is highly rated, highly qualified, and highly recommended for good reason. Our clients are often facing serious legal decisions and come to our law firm seeking exceptional, dependable legal counsel. We have helped countless individuals and families with complex estate planning matters, sensitive family law issues, and more. No matter what your case involves, we treat your case like it is the priority. For a confidential consultation, please call us at (225) 522-4996. We would be happy to discuss your case and determine how we can assist. Why Choose Leger Law Group, LLC? I fully endorse Siobhan in all areas of her practice. She is extremely knowledgeable in many areas of the law and works hard for her clients to ensure that they are protected in their time of need. Siobhan is a very thorough and knowledgeable attorney with an incredible work ethic, and a near flawless work product. She is very down to earth and relatable, and represents her clients based on what is in their best interest. Ms. Leger answered my complex question expeditiously and fully. I couldn't have been more pleased with her. She really knows her field. I contacted Siobhan after an extensive web search for a lawyer who could negotiate and close a sale of my partial interest in an inherited home. She efficiently and effectively represented me and protected my interests while getting the results we wanted. ?I endorse this lawyer. Attorney Leger is an outstanding attorney with an exceptional reputation. I highly recommend her legal services. Siobhan knows her stuff. 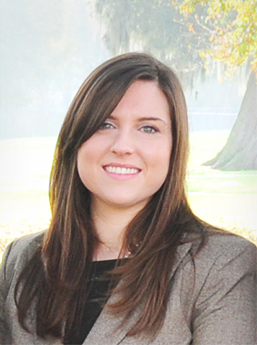 She has a very thorough knowledge of the estate planning field and adds value for her clients. I endorse Siobhan. Handle my employment case from A to Z in an ethically and professional manner, emails and client calls were always clear and concise. To get started, email us below or call us directly at (225) 522-4996. Years ago, we founded our firm on providing clients with high-quality legal representation at the most cost-conscious price. We do not believe in sacrificing quality for affordability and are devoted to handling your most sensitive or personal legal matters with confidence and discretion. Attorney Siobhan Leger is consistently recognized for providing clients with dedicated and skilled legal representation. Our firm is committed to finding solutions that lead to long-lasting protection and peace of mind. From simple wills and small estates to complex trusts and complicated succession or probate matters, the Leger Law Group, LLC can handle it all with expert results.